We take the security of your information as seriously as you do. That's why your course registration and payment on FloridasFirstTrafficSchool.com are secured using encryption technology. We use SSL (secure socket layer) encyption to protect sensitive information such as your name, date of birth, driver license number, and address. 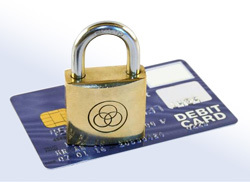 Your credit card information is also encrypted using this technology. The reason Florida's First Traffic School goes to such lengths to protect your personal and private data is that we want you to feel confident that you can trust our site. We want our customers to return if they need our services again for Florida traffic school, the drug and alcohol course, or advanced driver improvement. The site where we host our courses, TicketSchool.com, is owned and operated by Driver Training Associates, Inc. Our host site is scanned every day to ensure that we meet the strict compliance standards necessary to receive Hacker Proof certification. As a Better Business Bureau accredited online business, we are dedicated to protecting the privacy of your information. On every website owned by Driver Training Associates, we implement a strict policy of never re-selling customer information to third parties such as marketing agencies. The same cannot be said for many of our competitors in the traffic school industry. If your goal is to sign up for a secure, reliable online traffic school or driver improvement course with a reputable company, you've come to the right website. Click the green "Register" button to sign up for your Florida online traffic school course, or choose another online Florida course from the list on this page.